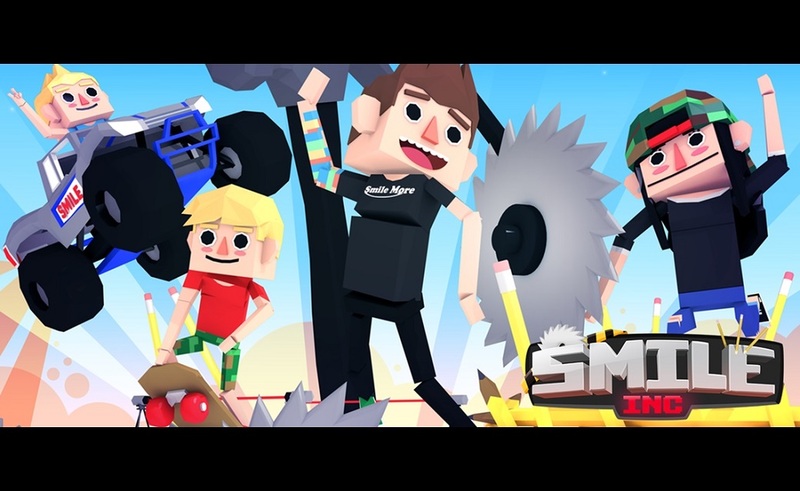 Smile Inc. from Super Lame Games is an auto runner, and your goal is to survive and avoid all the traps around you. An office might not seem like the ideal place for a runner survival game, but somehow Smile Inc. manages to pull it off nicely thanks to its humorous approach. Your character runs automatically, but you control his direction by tilting your device or using the joystick controls. It’s easy to get the hang of the controls and that’s a good thing, because you’ll be running from giant staplers, pens and other office supplies. Speed helps of course, and you will get a speed boost if you can hit the coffee scattered around. But this is not just about running as fast as you can, as you also need to be careful about where you run. Basically you need to run away from everything that is going after you, because one hit and you’re dead. You are not entirely helpless however, because you will come across helmets that will protect you. However the protection it offers is limited and you have to rely a lot on your skills at running and evading. In spite of these, you will want to keep playing because little by little, you’ll get better, gain bonuses and uncover new characters. Those hidden characters aren’t just new: they also have unique skills that will help you progress further into the game. There are also special missions where you’ll get rewarded with gems or high scores. Who says spending time in the office has to be dull?